Jackie Carton is an interior architect specialising in residential interior design. She has ten years experience in delivering full design schemes - from modern and colourful to classically elegant. With a background in art publishing and graphics, her love of art and colour is evident throughout her work and she believes that a well designed home should reflect its owners personality. “As designers we have a responsibility to the client to ensure the layout meets their functional needs. Then, layers of colour and texture add warmth and character whilst some well considered final touches complete the scheme. Attention to detail is one of my hallmarks - it's the smaller, more subtle elements that really help create a harmonious feel. A beautifully designed space is a joy to live in and this is the ultimate goal of every project I undertake.” Jackie is known for her open and friendly yet professional approach. She collaborates with a number of architects and building contractors to see each design through to completion. A regular contributor to interior magazines and newspaper articles, Jackie has also been invited to speak at shows such as House Event, the Ideal Home Show and the Self Build shows. She works with developers on showhouse fit outs and in 2017 took part in TV3’s Showhouse Showdown programme, winning across all four categories. 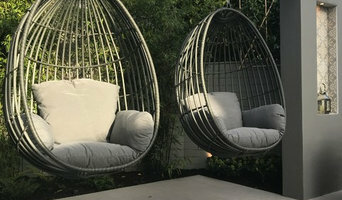 Her work is featured on Houzz where she was awarded “Best of Houzz for both Design and Service” in 2019. Greenstone Landscapes was founded by Ross Farrell in 2000. Greenstone design and build contemporary and traditional gardens, landscapes and roof terraces. We provide a full landscaping service from initial consultancy, through design and construction to the completed project. Our projects include city, courtyard, patio and much larger family gardens. Our speciality is in large projects involving extensive hard landscaping, garden rooms and outdoor kitchens Ross studied Landscape Construction and Garden Design at Writtle College, Essex and graduated with a HND (Higher National Diploma ) in 1998. Ross has designed and managed over 200 projects since. Creatively enhancing Irish homes through classical style woodwork, innovation and vision. 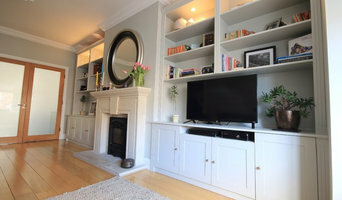 Focal designs is an Irish finish Carpentry business based in Dublin. We creatively enhance Irish homes through classical style woodwork, innovation and vision. At Focal Designs we provide and ensure a professional approach as well as a high end finish to every project whether big or small. We have experienced trades people with over 18 years’ experience both home and abroad all with city & guilds qualifications. At Focal Designs we also offer handcrafted wall panelling, which substantially enhances the interior of any home, completely transforming the look and character of your living space. Our portfolio speaks for itself. At Focal Designs we skilfully enhance Irish homes through creativity and cutting edge design. Our customers’ vision is important to us and together through project planning we meet our customers’ needs and specifications. We take pride in our work and aim to exceed all our customers’ expectations. Bath House is owned and managed by John Devlin and Conor Flaherty. With backgrounds in property development and refurbishment; project management and retail management, both owners bring a wealth of experience to Bath House as well as an overriding passion and flair for high quality design. Bathroom design has evolved away from a purely functional orientation, with home owners and property professionals seeking to enhance the living quality of the property through bathroom design. 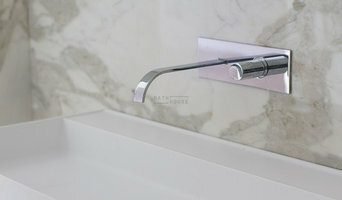 In the modern home, bathrooms are about living and not just ablutions. In developing the Bath House offering, Conor and John identified an opportunity to bring a much stronger range of the best in bathroom design to the increasingly discerning Irish market. The award winning showroom is designed to display the broad range of bathroom options – to match the typical budget of the price conscious Irish consumer but without compromising on quality or design edge. John and Conor believe their best strengths is in working with their customers, developing bathroom solutions that reflect individual preferences and lifestyles. Bath House offers customers a full project management service ensuring that their requirements are fully met, on time and within budget with maximum professionalism and the minimum disruption. Full Home Interior design & Renovation, Best of Houzz winner 2017, 2018, 2019. A Francophile at heart, Thelma Henry is inspired by the elegant style of classic French design with unique style and unparalleled quality. Thelma Henry Interiors is a Dublin based boutique Interior design service creating beautiful and comfortable interiors for our clients. We work closely with our clients to get a vision and understanding for their project., As with each design being as unique as the client. We make realistic suggestions for your budget We understand that truly great interior design embraces both beauty and functionality. We love helping people to create a beautiful space of their own - good design is about the feel you get when you walk into the space. If you live abroad and have a property here, or if your returning from abroad and need your home renovated, we our the design consultancy for your project. We are unique in how we work with our clients - seeing things before they need to be done, being extremely resourceful and solution orientated. With access to a full team of trades people, we offer a full project management service meaning we take the stress out of renovating your home. We are a leading Bathroom, Wood Flooring, Tile & Natural Stone supplier based in Ballymount, Dublin 24. (Just off the M50) and have a 52,000 sq ft state-of-the-art showroom! Our customer service is second to none which has been reflected in two recent awards we have won - REI National Store of the Year 2016 and KBB Bathroom Retailer of the Year 2016 UK & Ireland. Come and see us soon! Our vision is to be an innovative company dedicated to supplying the finest quality products, providing the best customer service and delivering excellent value to all our customers throughout the world. 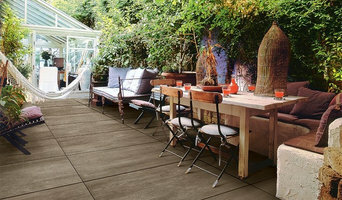 Our mission is to have the best people working for TileStyle so as to always exceed our customers expectations. THE BUILDING AND RENOVATION COMPANY Dublin Carpentry & construction. Design - Vision - Craft. Let us put our experience to work for you .We work throughout Dublin and the greater Leinster regions, bringing our experience and expertise to home makeovers and renovations. Our rates are competitive, with no hidden fees. Our employees are friendly and will be there to help you every step of the way. We work on large commercial projects , private homes and also with International company's. Our work range is wide and far - from your basic home needs and renovations to design and consultation on national projects like the national gallery, working with specialist materials and matching the expectations of design teams and architects. Dublin Carpentry is family-owned and operated right here in Dublin. Since our company opened its doors in 2006, we’ve treated every customer like they were a part of our family. Other companies may offer similar services, but our services are the best, and come with a personal touch. As an Interior Designer, Sari was puzzled by the lack of high quality, yet affordable bedding on the market. “What could possibly be so difficult?” So she set out on a mission to source the best bedding in the world. Together, we spent a year researching cotton farming and production. Our quest led us to India where we found our perfect partners: a cotton farm cooperative and our expert factory, both of whom are certified Organic and Fairtrade. We are proud to combine the best organic, handpicked cotton in the world, with beautiful designs and expert craftsmanship. The result? Luxury quality products that are made to last. We are now available in House of Fraser Dublin, Belfast, Manchester and Bluewater. We are a client focused, design led architectural firm who deliver tailored design solutions for individual clients and projects of all budgets across the residential sector. We have big ideas, a passion for transforming peoples dreams and aspirations into reality. We have over 25 years combined experience and bring a wealth of knowledge and expertise to every project. We ensure that projects are realistic to the budget available. Each project is guaranteed the personal attention of one of the directors who guides is from the initial consultation through to completion with our energetic and enthusiastic team. Every client, site, brief and budget are unique and as such deserve a unique response. We offer a professional service at all times which fulfils all client brief requirements and exceeds expectations. By listening to client needs we are able to interpret their needs, identify specific site opportunities and ultimately deliver designs which maximise space and light while at all times adhering to budget constraints. Building work is a big undertaking and the client will be living with the results for many years to come – we recognise that it is your project and your money being spent and we therefore do not push specific design agendas or styles but rather listen to what each client wants. What we do. Our aim is to design and build great spaces. Using factory built architecture we specialise in the provision of additional living space through house extensions, garden studios and commercial buildings. We are the no. 1 providers of house extensions and garden studios in Ireland. Facility & Staff. From our 14,000 square foot manufacturing facility in Dunshaughlin we design, engineer and manufacture your building, which we deliver and install in greater Dublin. Our professional staff is extremely well qualified and we continually research ways to improve our products. Reputation. As the customer you need confidence in undertaking such a significant investment. With its ISO 9001:2000 certification, a quality management system that meets international standards, Shomera provides that reassurance. As audited by ISO, we have a 95% customer satisfaction rating for this service. Martin- Hudson & Gibson is Dublin's premier interiors and soft furnishings showroom. Established over 50 years ago, we stock an extensive product range ensuring that we cater to a range of tastes and styles. In store, we provide a bespoke design consultation and can support our clients with everything from putting together a bespoke colour scheme to a full scale interior design project. Visit our showroom today and let us help you create something truly special. But before you start sending out dozens of emails and making phone calls, sit down and think about your project. What's your budget? What is the scope of your project? Will you need more than one type of professional to complete your home improvement project in Dublin, Ireland? Can you afford to complete the full project now, or should you tackle it bit by bit? 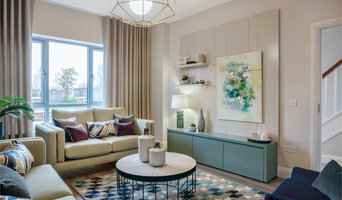 Once you've settled on your project’s priorities, budget and scope, it's time to start researching Dublin, Ireland home design professionals. Don't sell yourself short and settle on the first professional you set your sights on. Make sure that you're working with someone local, who can get to the jobsite easily and efficiently. Look into the person’s reviews, ask to speak with former clients and to see previous jobs in person. Take a good look at their portfolio photos: How similar are these projects to your own? Be honest — that mansion might look beautiful, but it might not have a lot in common with your little bungalow. Reach out to multiple professionals — especially for larger projects — and don't settle for the first bid you hear. Comparing multiple Dublin, Ireland professionals' bids and experiences can help you find the one that’s best for you. Ask a lot of questions now, so you won't have unexpected answers later. Find a home design professional on Houzz. Narrow down your search by type of professional and location. Browse Dublin, Ireland portfolio photos, read client reviews and contact each Dublin, Ireland professional for more information. Check out the information in the specialized professional sections too for tips on how to hire the right professional for your project.